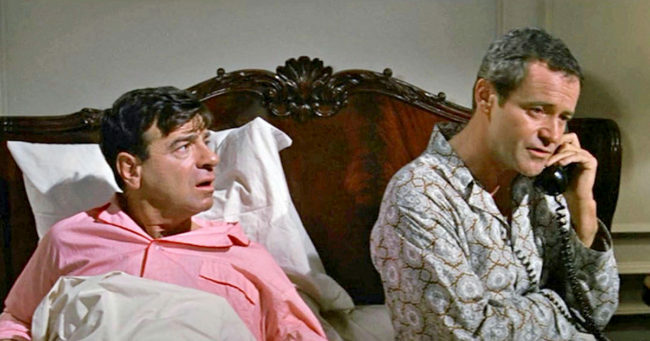 Laemmle Theatres and the Anniversary Classics Series pay tribute to the late, great prolific playwright and screenwriter Neil Simon with a 50th anniversary screening of one of his most influential works, THE ODD COUPLE. This film version of his hit Broadway play about the friction between two divorced men who decide to live together in a Manhattan apartment despite a difference in their personalities was a box office bonanza in 1968, the fourth highest grossing movie that year. 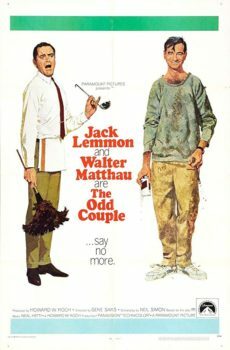 Seems like everyone wanted to see the comic complications between the neurotic neat freak Felix, played by Jack Lemmon, and the fun-loving slob Oscar (Walter Matthau). Simon had created those characters in 1965 for the stage, and he earned the first of four Oscar nominations for his screen adaptation. His other nominations were for adapting his plays The Sunshine Boys and California Suite, and for his original screenplay for The Goodbye Girl (a best picture nominee and best actor winner for Richard Dreyfuss in 1977). Both Lemmon and Matthau would go on to star in several more movies written by Simon, including The Out-of-Towners and The Prisoner of Second Avenue (Lemmon), and Plaza Suite, The Sunshine Boys and California Suite (Matthau). Gene Saks, a frequent Simon collaborator on Broadway, directed the film version with a spirited cast including Herb Edelman, John Fiedler, Monica Evans and Carole Shelley. 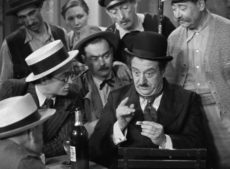 Lemmon replaced Art Carney who had originated the role of Felix on the stage, with Matthau reprising his Tony-winning role. Both Lemmon and Matthau garnered acclaim for their performances, and the success of the play and film took Matthau to full-fledged star status after years as primarily a supporting player. The film’s rousing reception at the box office spawned a hit television series in 1970 with Jack Klugman and Tony Randall, and other incarnations in gender, ethnicity and sexual orientation diversity through the ensuing decades. The 1968 film stands out as a definitive version of Simon’s creation. Simon drew from his personal life for inspiration, and his works explored the ethos of mid-to-late twentieth century America, often centered in New York. The Odd Couple in particular looks at old-school masculinity on the edge of profound change in American society. There is pathos (as played by Lemmon) underlining the comedy, and the movie touches on those dramatic elements. THE ODD COUPLE screens at the Royal theatre in West LA on Thursday, September 13 at 7:00 PM. Discussion on Simon’s career and cultural impact with film critic Stephen Farber and guests TBA. Click here for tickets.